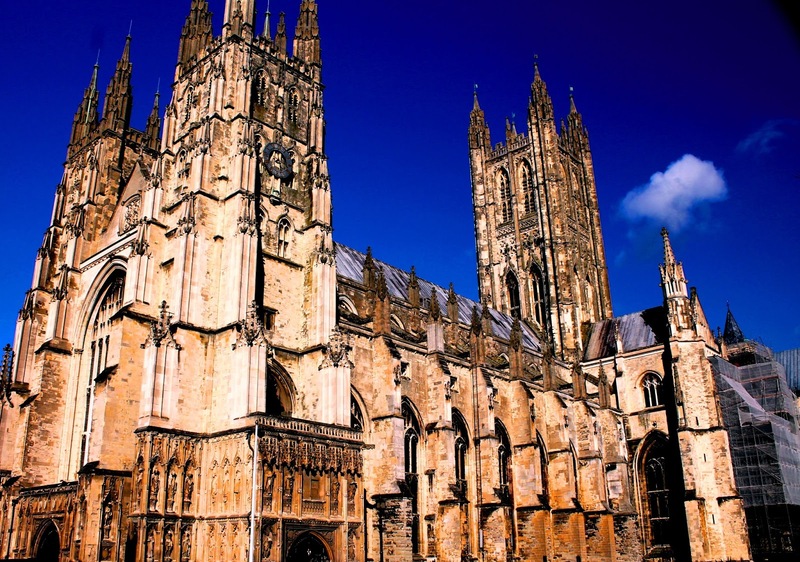 Situated in the middle of Kent, the garden of England, Canterbury is one of the country’s oldest cities. Canterbury is known mostly for its impressive cathedral, but there is a lot more to the city than most people know. To me, Canterbury is like a second home. It’s where I went to university, where I found my independence, and where I fell in love. Sometime in the future I’d like to move back there, but for now all I can do is tell you about it. Because of its history the city is a major tourist attraction (there are always parties of coach tours and school trips wandering around) so there is plenty to see and do in Canterbury all year round. Much as I’d love to list it all here that would take a very long time, so instead I’ve chosen five of the best things to do in Canterbury, England. If you’re ever in the area, you won’t want to miss these! Of course, it would be impossible to write a guide to Canterbury without including the cathedral. The original cathedral was built by St Augustine, the first Archbishop of Canterbury, in around 597 AD. However, the current cathedral dates from 1070, just after the Norman Conquest. Even if you’re not a religious person, the cathedral is great to visit because of its stunning architecture and wealth of history. If you go inside, you can see the spot where Archbishop Thomas Becket was famously murdered in 1170, now marked by a dramatic modern sculpture. The crypt, cloisters and cathedral grounds also help to make Canterbury Cathedral the perfect place to visit.